This statistic presents the online shopping frequency of internet users in the United States as of March 2017. 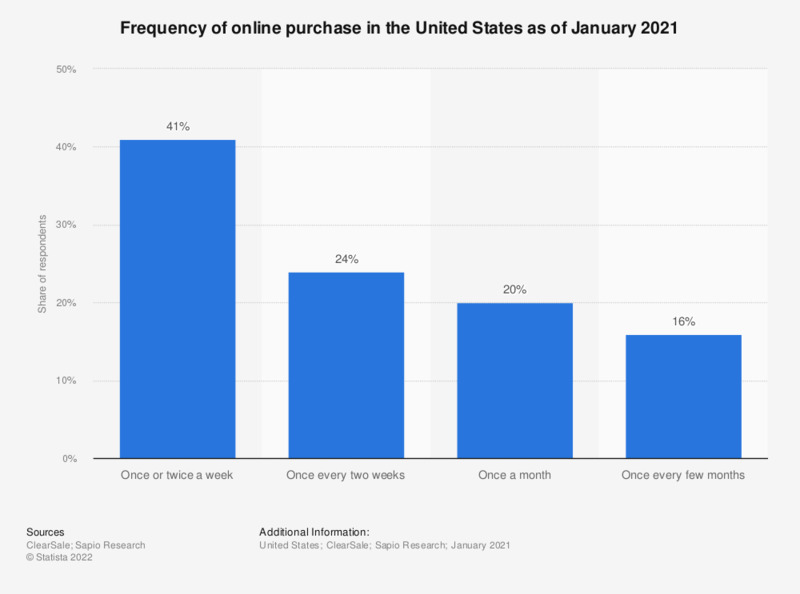 During the most recent survey period, 29 percent of respondents stated they purchased goods online at least once a week. Question: On average, how often do you shop online?